What’s trending among consumers in the smart home technology arena? Speech recognition and entertainment options, for starters. Speech recognition/voice search. This category has been adopted by the largest segment of consumers, with 24 percent of respondents saying they own this type of technology. 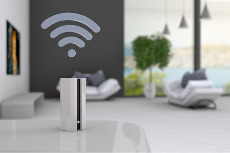 Smart home devices or Internet-of-Things (IoT) connected devices are close behind, along with wearable technology devices, both purchased by 22 percent of consumers. Virtual reality (VR) and/or augmented reality (AR), facial recognition technology, smart or foldable displays and interactive devices trail behind, adopted by 10 - 14 percent of consumers. So, what’s the technology we’re most interested in next? Smart home devices or IoT connected devices lead the pack, with 27 percent of consumers planning to purchase these products within the next six months. Wearable technology devices are next, with 24 percent of consumers reporting they plan to purchase these products within the same period. VR and/or AR is the third most popular category, with 22 percent of consumers planning to purchase these types of technologies in the same term. Entertainment is driving most of our technology purchasing decisions: 43 percent of consumers said they plan to purchase new technologies for this purpose, followed by automating tasks (26 percent), tracking and measuring behavioral data (23 percent), sharing on social media (18 percent) and receiving more personalized ads (12 percent). Sleep technology is another emerging area that’s piquing our interest: 22 percent of respondents said they would be interested in purchasing products under this category, compared to 17 percent who said sports tech, and 14 percent who said baby tech.